Drug and alcohol addiction are treatable illnesses. They can be successfully managed and “arrested” such that they do not continue to harm a person’s life or compromise their health. Just as with any progressive illness, a patient should commit to a course of treatment that has been proven to eradicate their illness or reduce its impact. Heart disease, cancer, diabetes, morbid obesity, alzheimer’s – all of these have established medical treatments which can increase a person’s chance of survival and/or quality of life. Addiction is both a physiological and behavioral illness. With opioid addiction in particular, there is a strong biological/physical basis as well as a highly significant psychological component. 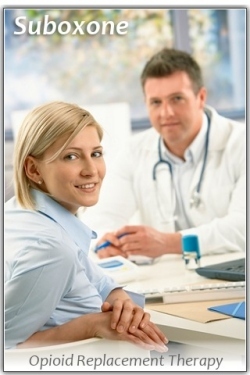 When both of these are adequately addressed, a patient has a new opportunity to recover. For most individuals with a severe opioid addiction, is critically important to receive physical relief from the discomfort of opioid withdrawal symptoms. But this must also happen in conjunction with behavioral health counseling. Counseling addresses the emotional & psychological factors that contributed to the development of addiction in the first place, and counseling teaches the skills necessary to remain drug free over the long-term and to hopefully avoid future relapses. Many people find that if they neglect one of these two key areas, then they are more vulnerable to relapse and rapid deterioration. 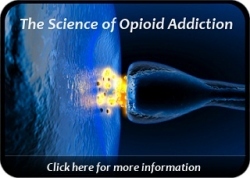 When opioid detox is not a viable option for a particular patient, methadone and suboxone are clearly the medications of choice for addressing opioid withdrawal. Counseling provides the other half of the equation. All methadone programs across the country (as well as all suboxone-approved physicians) are required to insure that their patients are receiving some level of addiction counseling. The essential ingredient is this mix is patient commitment. Having a genuine desire for a drug free life is as important as anything else. Becoming ready for change is a process in itself and varies from person to person. It is true that many people find their way into recovery because of a recent crisis in which things get so bad they hit a new low, or bottom. This does not have to happen though. Sometimes hitting “bottom” brings with it dire consequences. If you have been contemplating making a change, please remember that it is not too late. There are many advantages to acting today as opposed to waiting another day. Addiction loves procrastination. Recovery begins now with your commitment to doing something about your problem!